The opening had been planned for earlier in the year, but bad weather meant delays were unavoidable and the asphalting was finally completed last week. Club president Aaron Clark said another potential setback was avoided when the original contractor pulled out of doing the job the day before work was to be completed. “Local company Lay Asphalt Contracting joined forces with Fulton Hogan to get the track completed, and at a better price. The opening Interclub event last Sunday hosted more than 70 riders ranging in age from 4 to over 50. The track was designed and built by professional rider and Rio Olympian Trent Jones, who has been involved in track builds around the world. This was his first full demolition and rebuild project. 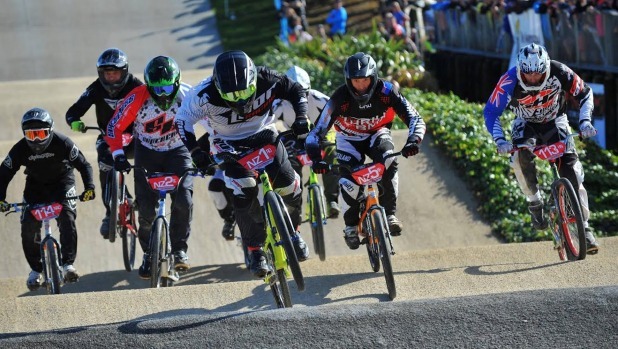 Jones said he wanted to bring spectators closer to the action so left space for viewing platforms within the track, something new for BMX tracks in New Zealand. Asphalt has been laid on the starting hill and the three bermed corners, which gives the corners the grip and speed top tracks overseas have. Clark said he was excited to see riders enjoying the new facility on Sunday. 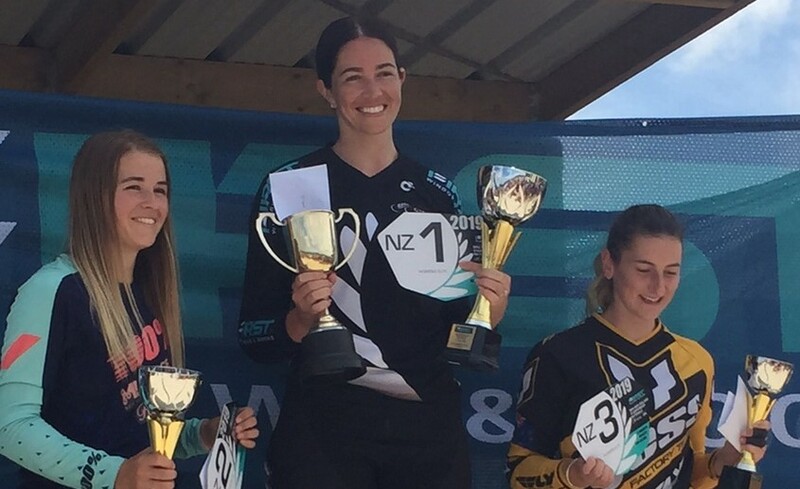 “The feedback from riders with experience riding on BMX tracks throughout New Zealand and overseas was 100 per cent positive. They are now able to race and train on a track that challenges them to the same level as the top-level tracks they encounter when they travel to national and international events. Track builder and professional BMXer Trent Jones leads the pack. The track, which cost more than $100,000, now meets the standard for national competitions. Clark said the track would future-proof the sport and guarantee the club’s future. The former track on Millton Ave was already used by thousands of people from outside the club each year, and he was excited by the prospect of bringing larger events to North Canterbury. 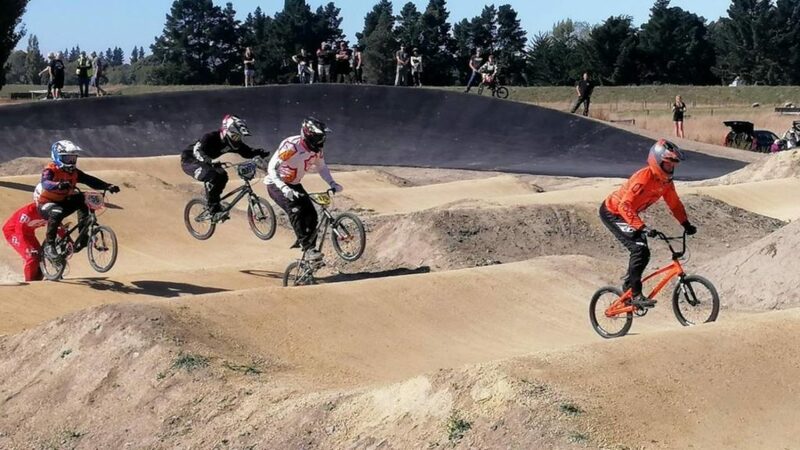 The club was unsuccessful in its bid to host the BMX Nationals in 2020 because the old track was not up to standard, but the new track had already allowed the club to secure the 2021 South Island championships. The event would bring about 400 riders and their families to the district. 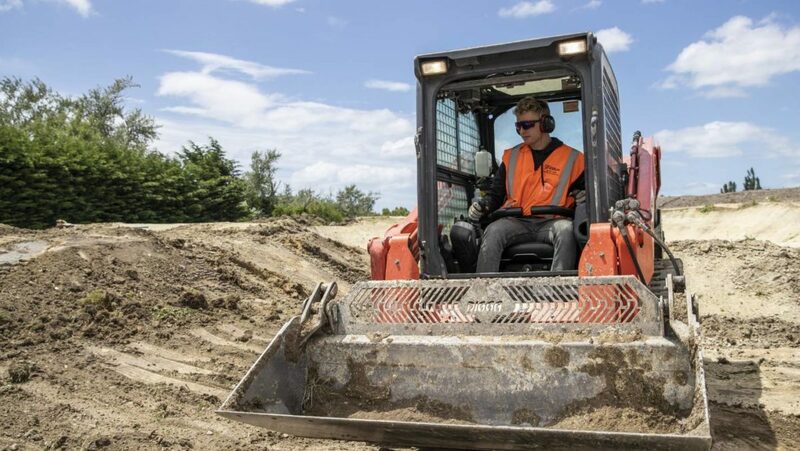 Waimakariri district councillor Robbie Brine said it was important for the council to support clubs providing recreational activities in the community. 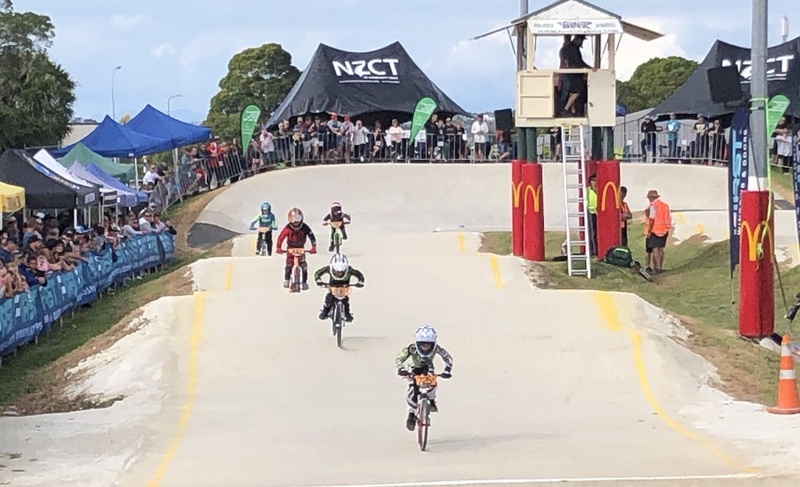 “BMX locally has fostered champions, and a new national class facility will bring competitors and their families to our district who will spend in our town centres. 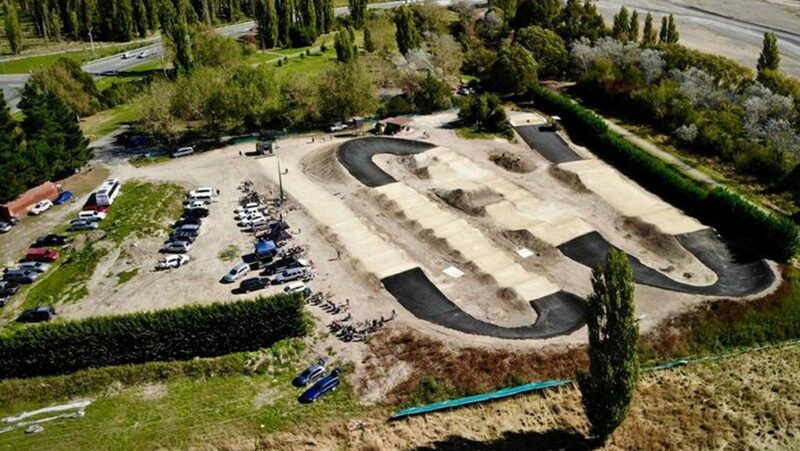 Jones is now working with the Waimakariri District Council to build a new BMX track in the new sport and recreation reserve south of Cass St in Kaiapoi, which will be designed for general use by all BMX riders and mountain bikers. Clark said the Rangiora project would not have been possible without support from the council, the Rangiora Lions Club, MainPower, Rata Foundation, Southern Trust, Trust Aoraki, Coffee Culture, The Schmidt Memorial Trust, OnGrade Drainage and Excavation, and the NZ Racing Board.